A man with Tourette Syndrome, a nerve disorder developing in childhood and involving muscle tics (repetitive involuntary movement) and voice problems (here), recently posted online his experience with smokeless tobacco. Diagnosed at age six, he was treated unsuccessfully with numerous drugs. At ten, he experimented with dipping and discovered that it controlled his symptoms. His doctor “was not happy that i was dipping but he under stood [sic] and told me the reason for that [alleviation of symptoms] was the nicotine…” The doctor prescribed nicotine lozenges, which worked. Later, the man resumed dipping. Youth initiation of tobacco use is wrong, but this individual’s experience is worth noting. Tourette is a challenging and frustrating disorder for which medicines are not always effective. A search of the medical and scientific literature reveals that nicotine has been used with mixed results to treat the symptoms of Tourette, mainly as a supplement to other medicines (here, here, here, here, here, and here ). Researchers have primarily tested nicotine gum and patches, which deliver very low, non-addictive doses. These medicines have been shown to be less than ideal quit-smoking aids (here); perhaps their low nicotine levels limited their effectiveness with Tourette as well. Moist snuff, in contrast, delivers a higher dose of nicotine for several hours, which may account for the symptom relief in the case described above. There is growing evidence that tobacco and nicotine may play a role in preventing and/or managing nerve disorders such as Parkinson’s disease, multiple sclerosis and Alzheimer’s disease (here). Unfortunately, nicotine and smoke-free tobacco have been so demonized by prohibitionists that researchers are reluctant to fully investigate the benefits of these products. Smoking among high school students declined from almost 16% in 2011 to 9% in 2014 – a reduction of 43% in just three years. 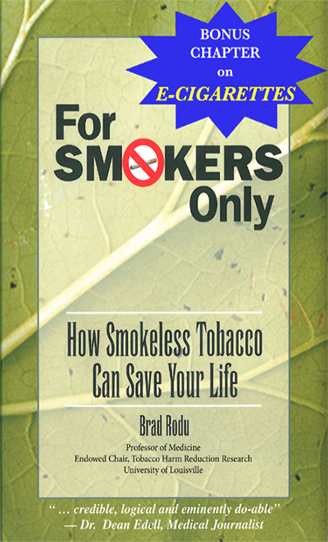 That is according to data from the National Youth Tobacco Survey (NYTS) that I recently published (here). the long-term rate of decline” in youth smoking after 2009. 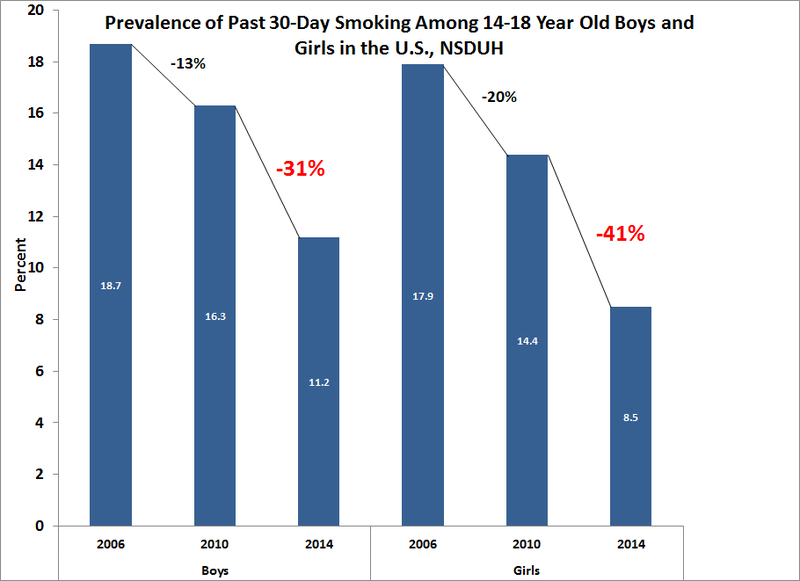 Dutra and Glantz analyzed smoking among children from 2004 to 2014. They used a complicated model to determine the rate of decline from 2004 to 2009, then compared that to the 2011-2014 rate, when e-cigarette use was increasing among youths. The UCSF publicity statement on their work (here) states: “E-cigarettes …are actually attracting a new population of adolescents who might not otherwise have smoked tobacco products…” Professor Glantz is quoted: “E-cigarettes are encouraging, not discouraging, youth to smoke and to consume nicotine, and are expanding the tobacco market.” This resulted in headlines such as “Vaping encouraging youth to smoke” (here) and “E-cigarettes are creating a brand new generation of cigarette smokers” (here). If Dutra-Glantz’s claims are true, we should see evidence of the “new generation” in the young adult population, particularly in current smoking rates among 18- to19-year-olds. I used the CDC’s annual National Health Interview Survey to analyze two five-year periods: first, when e-cig use was minimal to nonexistent (2005-10), and then when e-cigs were in wide and growing use (2010-15). I used the standard definition of current smokers: those who had smoked at least 100 cigarettes in their lifetime and smoke every day or some days. 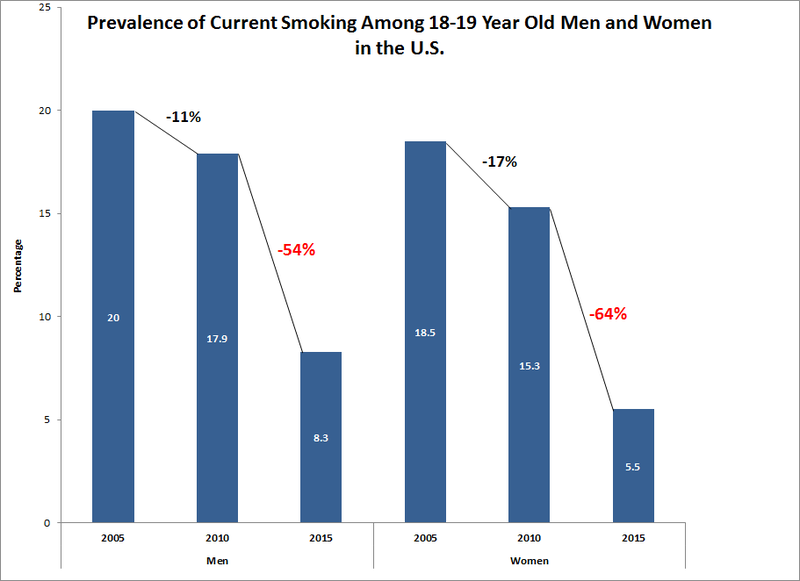 The accompanying chart clearly illustrates that smoking declined among 18- to 19-year-olds during the first five years. However, from 2010 to 2015 the rate dropped by over half among 18-19 year-old males, and by nearly two-thirds among females. One fact is crystal clear: The decline of smoking in young adults is accelerating. Kozlowski and Sweanor echo my criticism of the FDA’s war on smokeless, noting that “consumers and potential consumers have a fundamental right (based on the principles of autonomy, health communication, and health literacy) to be well aware of the dramatic differential harms from the various products they are already or might consider using (reference here).” Consumers don’t have that information, and the authors blame “…health authorities [that] have failed to provide accurate differential risk information on tobacco products” for decades. They highlight misinformation from the Mayo Clinic, which I have criticized for 12 years (here), and former U.S. Surgeon General Richard Carmona’s congressional testimony of 2003, which, as I noted at the time (here), ignored decades of published research and the findings of Britain’s esteemed Royal College of Physicians. “The public and especially users of multiple tobacco/nicotine products need to be provided accurate and actionable information on major differential tobacco/nicotine product risk. “This recommendation applies equally to youth who are using prohibited products and adults who are using legal products. 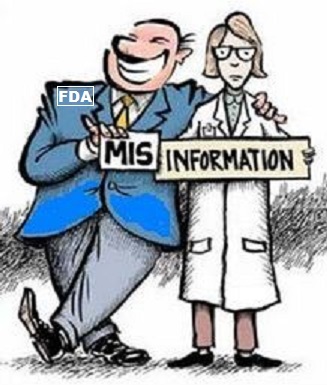 “Deception or evasion about major differences in product risks is not supported by public health ethics, health communication or consumer practices.